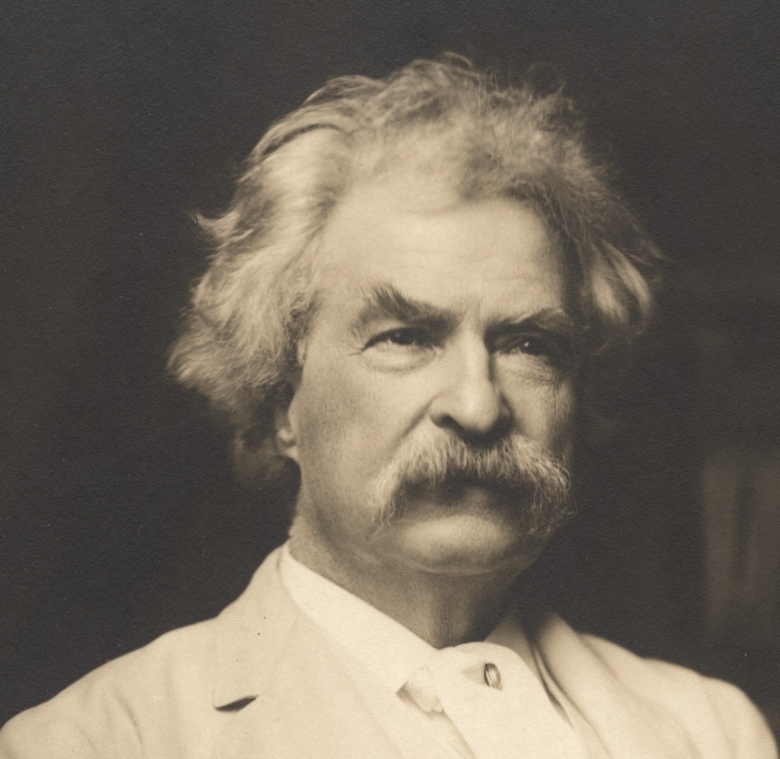 Before he died in 1910, Mark Twain stipulated that the full text of his autobiography should not be made public for at least one hundred years. In November 2010, the first of three volumes of this long-awaited text—the complete and uncensored account of Mark Twain's life and times—were published at last. The debut of this last great work of America's best loved author promises to be one of the most significant literary events of the twenty-first century. 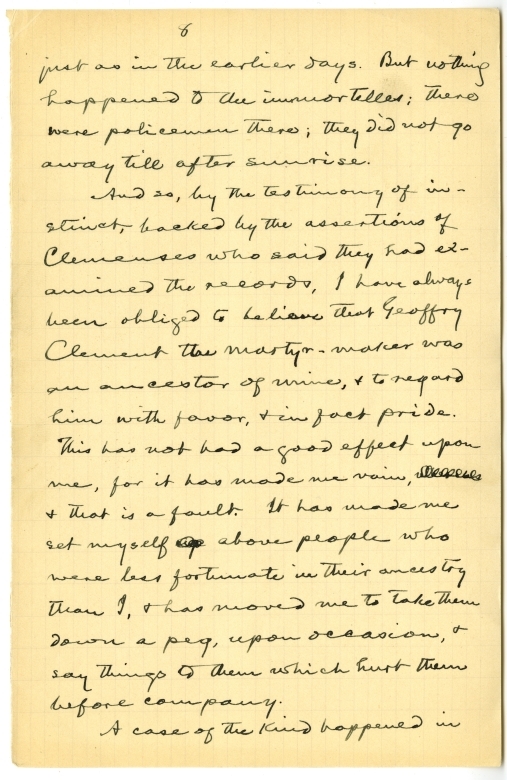 Edited by the staff of the Mark Twain Papers & Project at the University of California, Berkeley, and published by University of California Press, Autobiography of Mark Twain is generously annotated and illustrated. A digital edition appears here at MTPO. We appreciate the continued support of the National Endowment for the Humanities and the many generous donors who have made this publication possible. 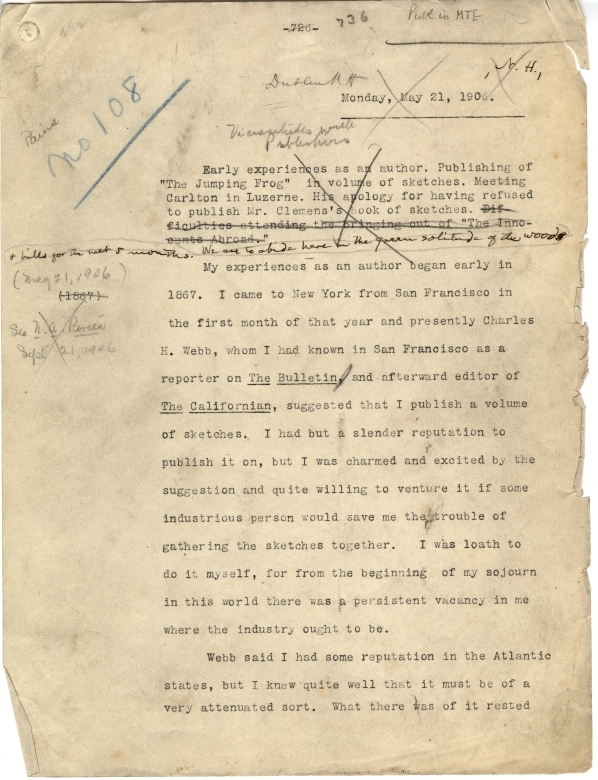 In advance of the autobiography's publication, we'd like to share a few scanned excerpts from the raw materials—the manuscripts and typescripts from which the edited volumes are prepared. Click on any image below to zoom in; click and hold to move it; click the zoomed-in image once more to return it to normal size. The new edition has a Textual Commentary, available only at MTPO, with a complete record of Mark Twain's revisions on his manuscripts and typescripts. The material that he removed from his original texts is published here for the first time. Mark Twain revised this page in black ink in 1906, but it bears markings now in at least three other hands. 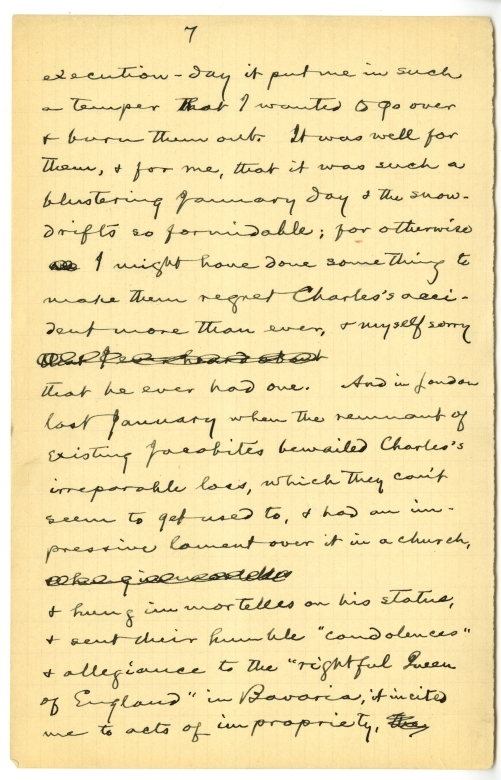 Understanding who made these marks and why, and getting back to the text as Mark Twain left it—as he wanted it published—is one of the challenging tasks undertaken by the Mark Twain Project editors. 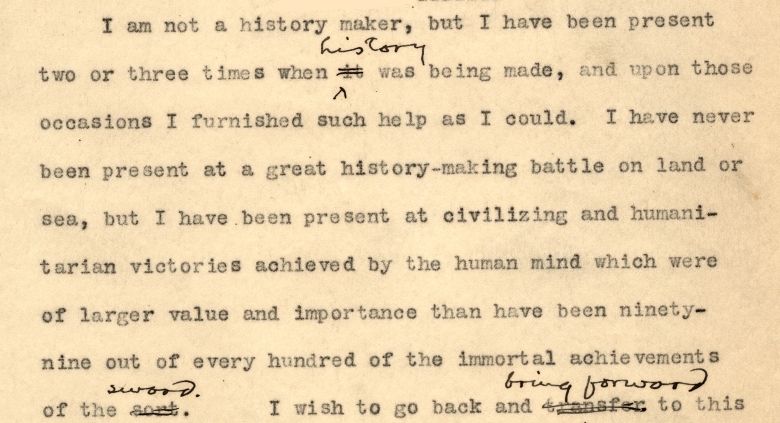 This page, from a dictation of 21 May 1906, is just one out of thousands housed in our vault. 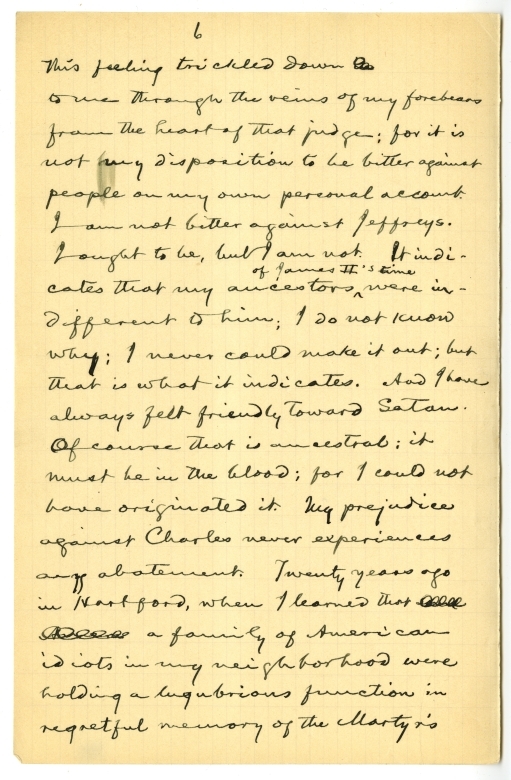 Most of Mark Twain's reminiscences were dictated between 1906 and 1909. He also had a number of older manuscripts typed, then incorporated them into the autobiography, along with letters and newspaper clippings that were glued or pinned to the typed pages. 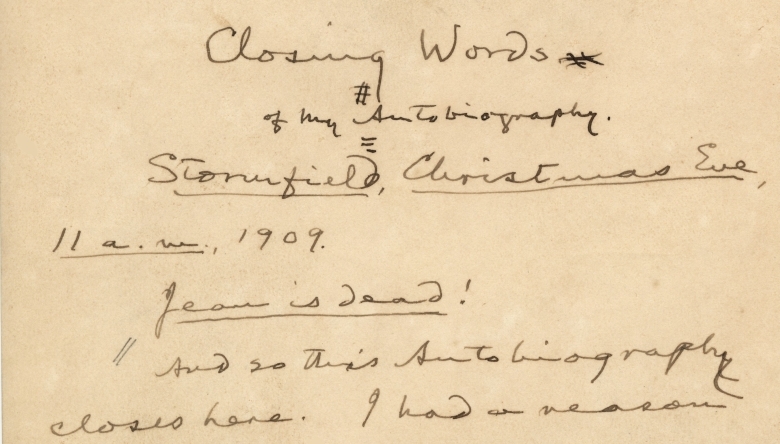 He wrote the “Closing Words” to his autobiography on December 24, 1909, a few hours after the sudden death of his youngest daughter. He died four months later—on April 21, 1910.